The e-commerce market in Pakistan has now been around for nearly 18 years. The first online store named Beliscity started in 2001 and even though it no longer exists today, other early stores such as Shophive (2005), Symbios (2006) and HomeShopping (2008) still do. While each of these websites continues to serve its customers even today, none of them has blossomed into homegrown successes stories as the likes of Flipkart or Coupang. In 2012 Rocket Internet decided to enter the Pakistani market. Within the first 6 months, they had already launched three ventures namely Azmalo, Daraz and FoodPanda. Azmalo shut down within its first 2 months but was later re-envisioned as a drop-shipment site that too eventually changed its name to Kaymu. Kaymu then went on to be acquired by Daraz in 2016. 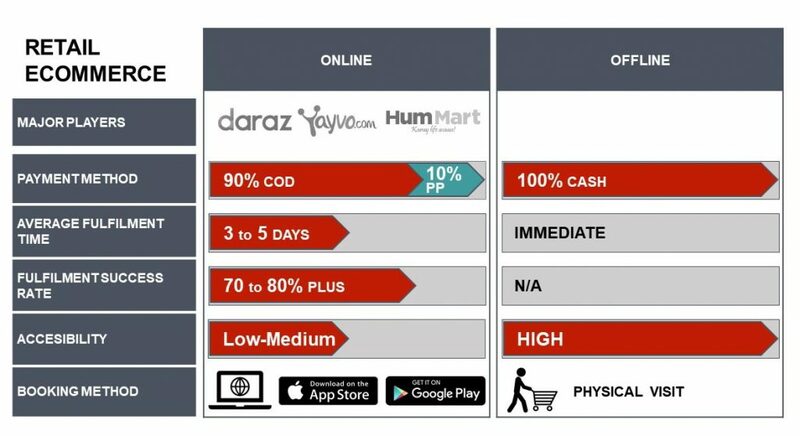 Daraz started as a fashion-focused portal and in early 2015 transitioned to a managed marketplace focused on all categories and was subsequently acquired by Alibaba in the summer of 2018. They also subsequently launched 5 other ventures which were eventually shut down. The oldest foreign entrant is OLX, which started its operations in 2010 and continues to operate today. Other large global startups included Careem and Uber in 2015 and 2016 respectively. 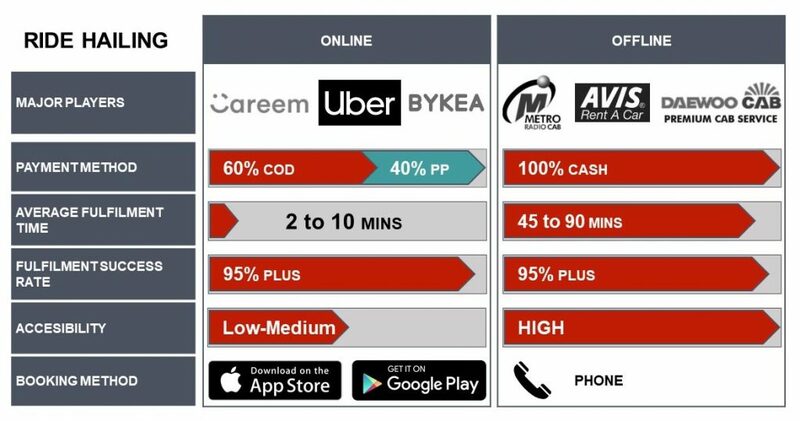 In the ride-hailing category, the largest local player is Bykea, and you have regional players such as Cheetay in Lahore. E-commerce is an all-encompassing term which incorporates multiple verticals or sectors within it. For this article we have focused on the largest of these verticals to give a sense of the depth and kind of services that are offered. Retail e-commerce is defined as the online sale of physical goods and consumables. These can be subdivided into two sectors: marketplaces and brands. An online marketplace can be described as a virtual mall hosting and selling numerous different brand offerings. Online brand stores, on the other hand, only deal in products they themselves produce. Marketplace competitors include names such as Daraz, Yayvo, HumMart and others while the list for brand store competitors include Khaadi, Ego as well as many other Facebook stores. Our primary focus for this article will be on the marketplace competitors. 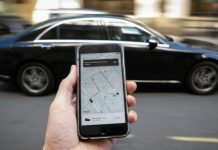 Ride-hailing has been overtaken mostly by the global and regional giants Uber and Careem. A local player has also emerged under the guise of a startup named Bykea which takes a much more indigenous and hyper-local approach to product development and marketing, and has seen fast growth in its key motorcycle-powered ride sharing and parcel delivery business. Classifieds cover a wide range of verticals from real estate, to human resources, to used cars. Sites such as OLX acts as a marketplace offering all these services and more. Other sites such as Zameen, PakWheels, Rozee, on the other hand, have placed their focus on specific verticals and in doing so have successfully created a niche for themselves. Food Delivery service providers include startups such as FoodPanda (an amalgamation of FoodPanda and local startup, EatOye) and Eat Mubarak. To analyse and compare the market we will be using several data points, combining both anecdotal and expert opinion. We will compare each of the verticals in terms of their fulfilment speed and accuracy, their payment methods, the share of mind they capture amongst the customer base and what the alternatives were before they arrived. Sectors such as classifieds and ride hailing are fairly saturated right now. OLX globally has close to no competitors. A few years ago Schibsted entered Pakistan with Asani.pk. However, OLX soon bought them out. In the property, automobile and jobs space there is Zameen, PakWheels and Rozee, all of whom have a very high share of mind in their respective categories. Both Zameen and Pakwheels have also enjoyed the validation of outliving the Rocket Internet funded startups such as Lamudi and Carmudi. Ticketing we believe is still an open field because even through there are three viable competitors in the market, no one has really managed to own the space yet. This is also due to the fact that many direct carriers have still not opened their sales to online channels. None of the ventures in the industry have received any major funding as yet also, with the largest funding announced to date being $1.5M into Sastaticket. A Rocket Internet company by the name of Jovago was also competing in the hotel booking market, but they shut down after 3 years. Retail e-commerce is the anomaly in that it has received a lot of heavy funding especially Daraz, Kaymu and Yayvo, yet the market is still not as captured as one might expect. To do a full comparison as to why the retail marketplaces might have not grown as rapidly, we take a look at a multitude of factors including cultural factors. We start by noting how each of these services was delivered before the e-commerce players entered the market. Once the average fulfilment time for taxis was 45–90 mins. The startup market has successfully managed to bring this down to just a few minutes while simultaneously making the rides much cheaper on average. This we feel is the primary cause of this tremendous growth. Mobility has always been a challenge in Pakistan, especially for the underserved and female population. By bringing air-conditioned cars at multiple price points, the market has grown tremendously over the last 3 years. The biggest challenge still facing the ride hailing market is accessibility. Their addressable market is currently limited only to those customers who have a smartphone and an internet connection. While internet penetration is growing, there is still a lot of opportunity to solve the mobility problem for the offline population. The food ordering sector has also done well even though its growth hasn’t been as swift as that of the ride sharing sector. Online food ordering companies have had no competitors for the last three years after Foodpanda bought out EatOye. 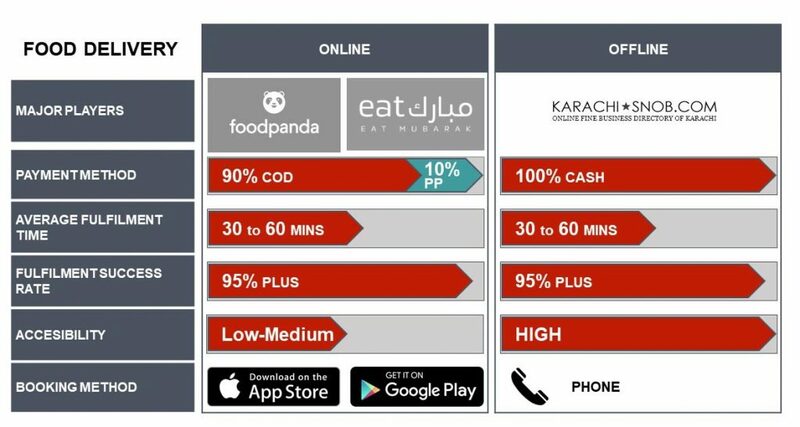 However, August witnessed the launch of Eat Mubarak a new service that offers, for the first time, a viable alternative to FoodPanda site that seems to have started gaining traction. Cheetay, a startup focused on the Lahore market, also offers food delivery alongside groceries and other commodities. 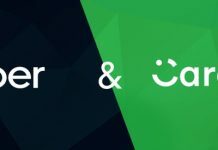 Competition in the market will increase in 2019 with Careem and Uber also launching their food delivery services in the first quarter. As you can see that although online food apps have drastically increased the ease of ordering, bringing it down to just a few short clicks, the overall fulfilment time is still the same. This might be one of the reasons for why the market hasn’t matched up to the break-neck speed of the ride-hailing startups. Nevertheless, it does continue to gain strength. Typically, the food culture in Pakistan differs from city to city. 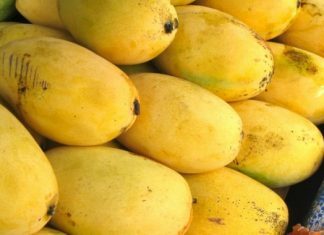 The online food market is much larger in Karachi than in Lahore. Apart from its market size one of the cultural reasons for this is that in Lahore dining out is more of a preferred experience whereas in Karachi ordering in is far more widely accepted. The above table makes a very vital case for fulfilment time being a major impediment in the growth of online retail. Even though e-commerce provides the convenience of not having to leave your house to place an order there are other deterrents which stem from traditional and cultural factors. E-commerce could never replace the experiential element of families going to the mall together where impulse led shopping is a powerful tool. Traditional shopping methods also allow one to see the product being bought and prices can be haggled down. One also knows exactly where to go to return or exchange a product, an issue which in traditional shopping can be dealt with on an immediate basis. 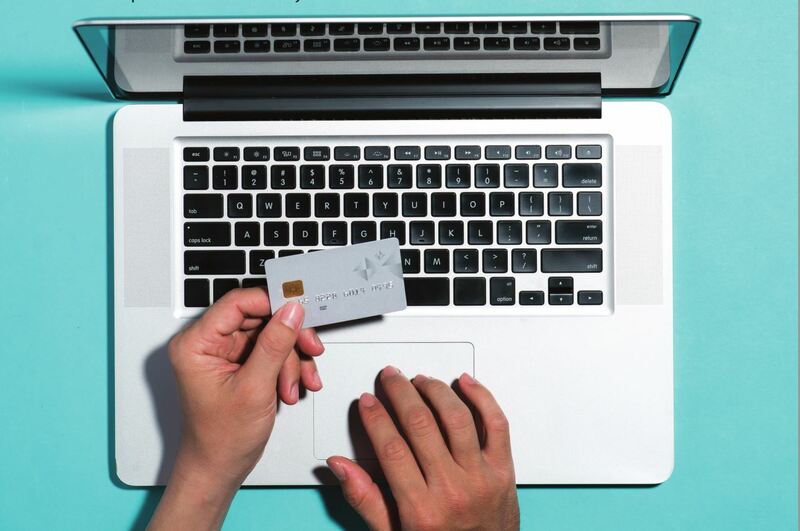 These factors have contributed to be a huge impediment for online shopping and, unless they can offer a more reliable and quick service, they will forever play second fiddle to brick and mortar retail. While the overall e-commerce market has doubled in the last year alone, and many of the large retail e-commerce ventures will have also grown at this rate or higher themselves, we believe that if retail e-commerce ventures had addressed their fulfilment challenges earlier, their growth rate might have been closer to 5-10x per annum rather than 2-3x. This growth would have been possible as returning customers would have help spread word of mouth and there would be a lot more trust overall within the retail marketplace vertical. 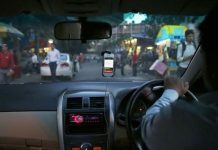 Previous articleAfter Careem and Uber, will the next boost to Pakistan’s ride hailing market come from a women-only service? My name is Aly and I would like to know if you would have any interest to have your website here at pakistantoday.com.pk promoted as a resource on our blog alychidesign.com ?